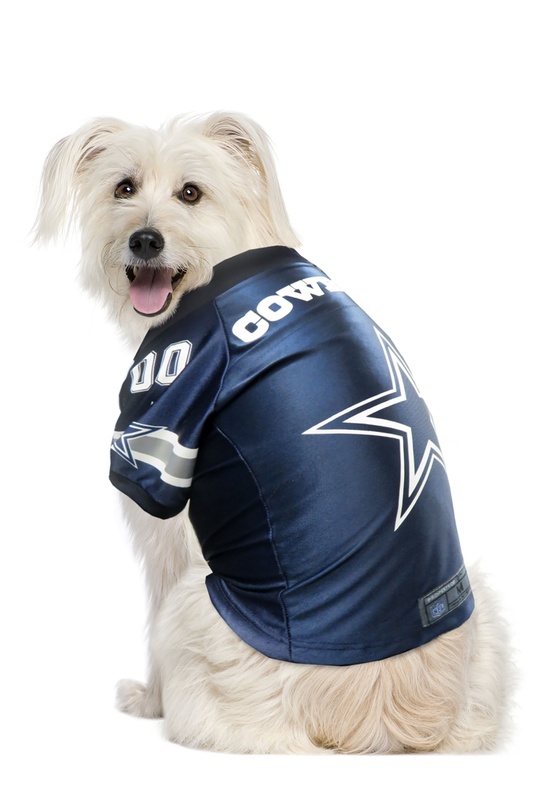 Okay, so your beloved pet probably doesn't cheer along with you when you watch the big Cowboys game, but everyone knows that they're a serious fan. After all, maybe napping through the game is just their way of rooting! So, when doggie dress up season rolls around, what better theme to suit them up as than one of your favorite players! 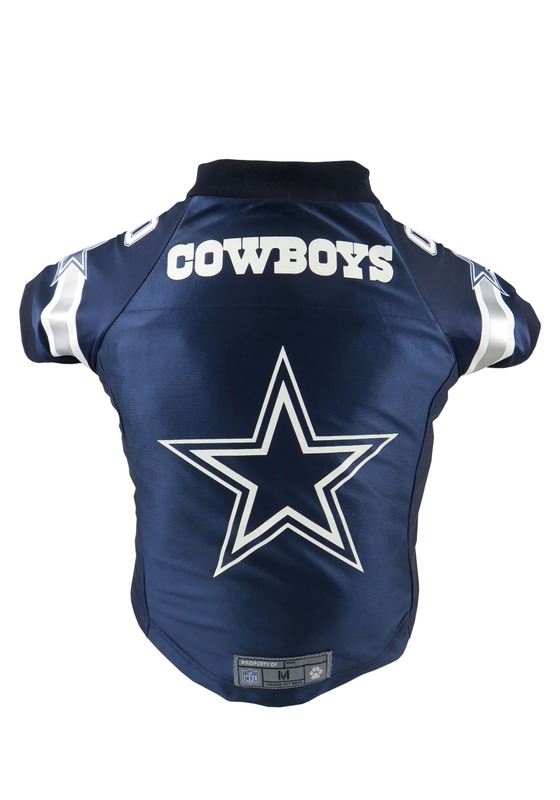 He can be a star player with stars on his sleeves when you get him this Dallas Cowboys premium pet jersey. You can dress him up for Halloween to show off his stuff, or just add him to the team on game day! 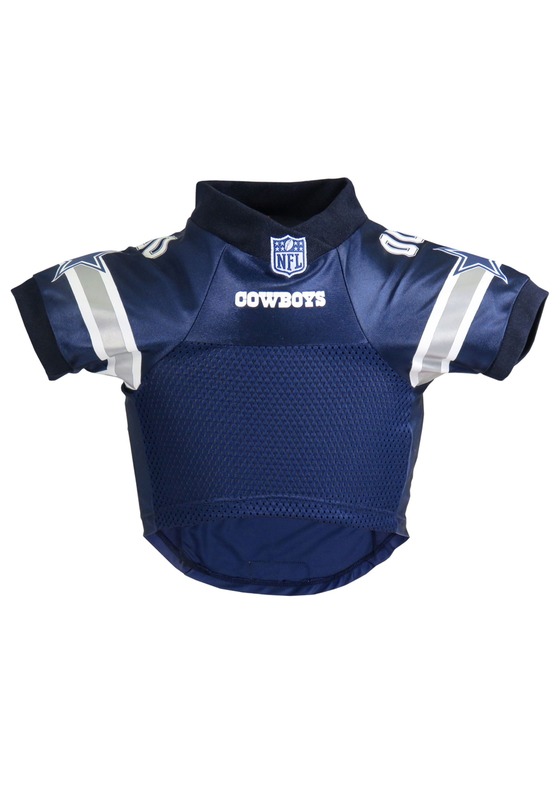 This pet costume jersey is NFL officially licensed, and looks just like the apparel the Cowboys wear on the field. And with player number "00" and the franchise logo on the back, he'll be ready to play ball! We have sizes extra small to extra large to fit almost every breed, so no matter what kind of four legged friend you have, suit them up for NFL action with this jersey!